Indulge yourself with luxuriously rich apple scent and crisp grapefruit. 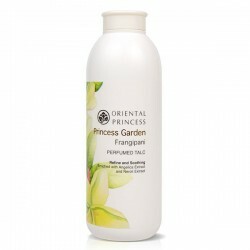 Oriental Princess' carefully crafted and fresh fragrance results in a unique hair cologne spray. Our hair cologne spray helps reduces unpleasant odours from pollutions, smokes or food odours. Lightly spritz on your hair after shower or during the day for your utmost pleasure and confidence.